J’ai longuement traité la destruction de la Yougoslavie (celle de Tito et celle de Milosevic), qui a conduit à la déstabilisation et à l’éclatement des Balkans (1). Transformés en « ventre mou » de l’Europe par les géostratèges américains. Je suis encore revenu sur la situation inquiétante de cette région stratégique il y a quelques jours, exposant les dangers potentiels et réels des Balkans pour la sécurité européenne (notamment les « cellules dormantes des Balkans » djihadistes) (2). What might qualify in Germany or the United States as “political instability” would be seen as business as usual in the Balkans, where insecurity and political violence are all too common. Consider the following two examples. In Montenegro, NATO’s newest member, two car bombs exploded in the past seven days and a major protest against violence is being planned by a Western-funded nongovernmental organization for the weekend. In Kosovo, just days after Kosovar forces arrested and deported a Serbian government official, the prime minister fired his interior minister and his intelligence chief for deporting six Turks accused of being involved in the Gulenist movement, which Turkey blames for the 2016 attempted coup, without his approval. (The Kosovar president has refused to accept the dismissal of the intelligence chief, and he remains in his post.) In other parts of the world, events like these might attract attention. But in the Balkans, they barely raise eyebrows. The region’s historical obstacles might have been overcome if the West were still the primary outside power calling the shots. But the leverage the West has in the Balkans is not what it once was. Instead, a three-way competition between the West, Turkey and Russia is emerging. The West realizes this and has tried to respond. NATO has admitted Montenegro as a member and wants to do the same with Macedonia as soon as possible. As part of a Western effort to isolate Russia after the alleged spy poisoning in the U.K., a number of Balkan states chose to expel Russian diplomats. But efforts such as these might well be too little, too late. The EU cannot promise the same kind of prosperity it was offering in the early 2000s, and Russia has already shown what a U.S. security guarantee is worth. Turkey is also a key NATO country, but it has a different agenda in the region, rooted both in its imperatives and its history as a great power in southern Europe. It is not powerful enough yet to assert itself in the Balkans and has bigger problems right now in Syria. Still, Turkey is slowly building political and economic influence in the region. Turkish President Recep Tayyip Erdogan felt sufficiently comfortable with Turkey’s position to condemn Kosovo’s prime minister for firing his interior minister. 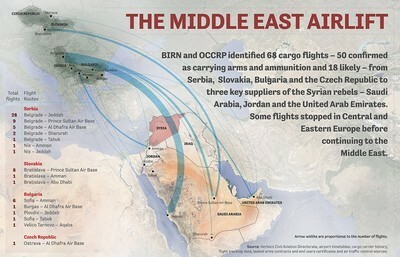 Russia’s position in the region is stronger. It maintains a close working relationship with Serbia and with Republika Srpska, a predominantly Serbian enclave in Bosnia that is increasingly acting like an independent entity. Serbia has flirted with the West but cannot tolerate Kosovo’s independence, and Russia’s need to maintain Serbia as an ally has become even more serious as the Intermarium countries become more united against Moscow. The Balkans isn’t on the verge of chaos. But developments in this part of the world have to be understood differently now in the context of a discredited EU, a weak and desperate Russia, and an ambitious but uncertain Turkey. Political violence in Montenegro, the lack of progress in Serbia-Kosovo relations, Serbian riots in Kosovo, name changes and other intrigue in Macedonia, the deterioration of Bosnia’s tenuous political structure and biker gangs running amok are all par for the course in the Balkans. But what is par for the course in the Balkans can have ramifications for the world simply by virtue of the Balkans’ geography and history. World War I started in the Balkans. That is not to say World War III will start there – it is merely to say that every action has an equal and opposite reaction, and as the strategic context around the Balkans changes, so too will the Balkans. 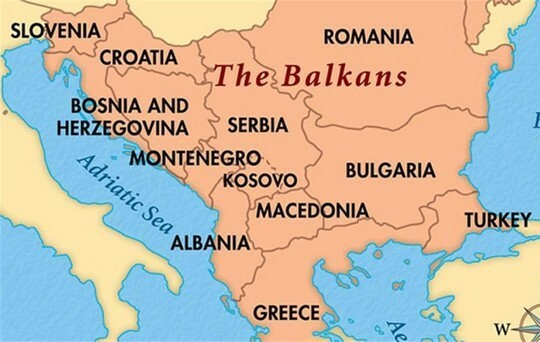 The post Making Sense of the Balkans appeared first on Geopolitical Futures. While Western Europe has struggled after the 2008 financial crisis, Eastern European cities have proved resilient. Eastern Europe has exhibited some impressive growth rates over the past decade. Companies from around the world continue to target Eastern Europe for investment because of the human capital the region brings to bear. Find out more about these dynamic economies in our new e-book, Eastern Europe’s Competitive Edge, available for only $9.99. Plus, for a limited time, we’ll add a free six-month subscription so you can keep on top of all the new geopolitical developments in Europe and the rest of the world. This entry was posted in # ARTICLES BY LANGUAGES, # EODE - ZONE BALKANS-BLACK SEA, # EODE THINK TANK, * English, * EODE/ Analyses - Rapports, * EODE/ Geopolitics, * Français and tagged Balkans, géopolitique US, Luc MICHEL, Palestine Solidarité. Bookmark the permalink.